It seems only fitting that our amazing Organic Multigrain Bread With Ancient Grains should have a recipe to go with it. 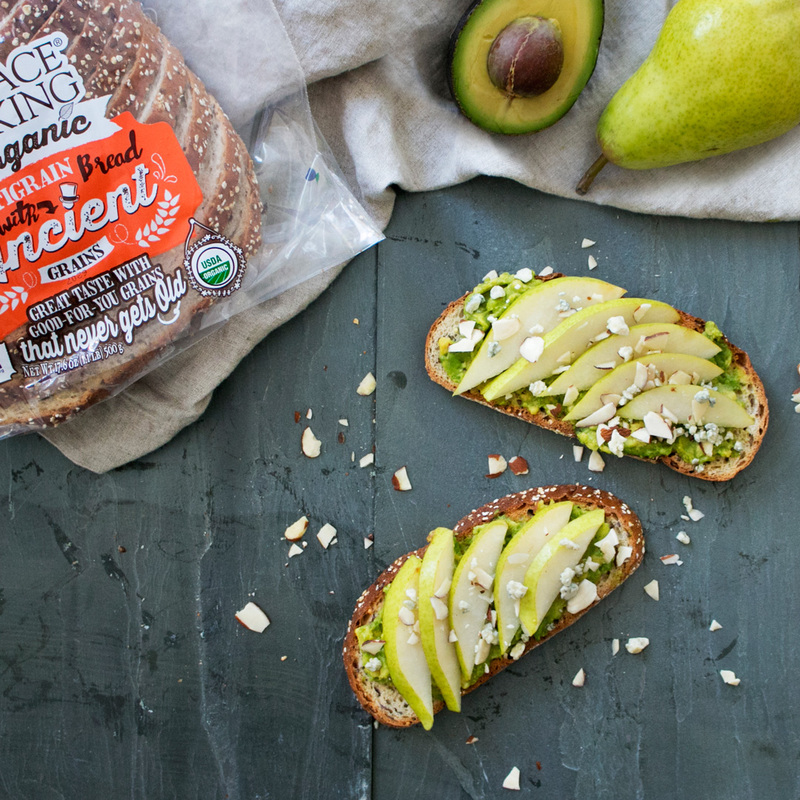 Well, we’re fresh out of ancient recipes, so we went contemporary Mediterranean with this Pear & Avocado Toast. Perfect for lunch, but even better as a gift for making up after a spat – you get creamy avocado, sweet succulent pears perked up with almonds, a dollop of blue cheese, a dash of honey, and (drum roll) it’s all served up on our bread. What could be better? Exactly, nothing. Mash avocado half with a fork and spread mixture onto both slices of toasted bread. Top with pear slices, chopped slivered almonds and crumbled Blue cheese. Drizzle with honey and dig in!